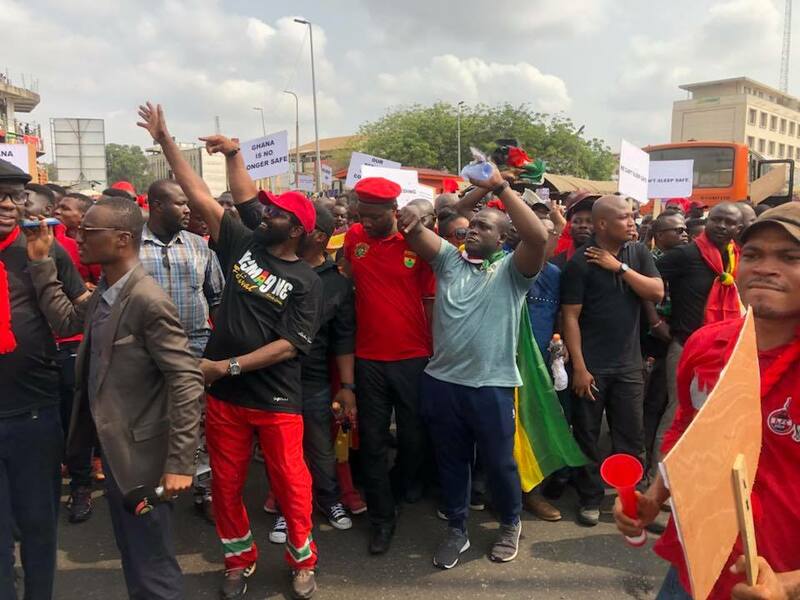 Leading members of the opposition National Democratic Congress (NDC), on Thursday, joined hundreds of Ghanaians to protest the state of insecurity in the country. 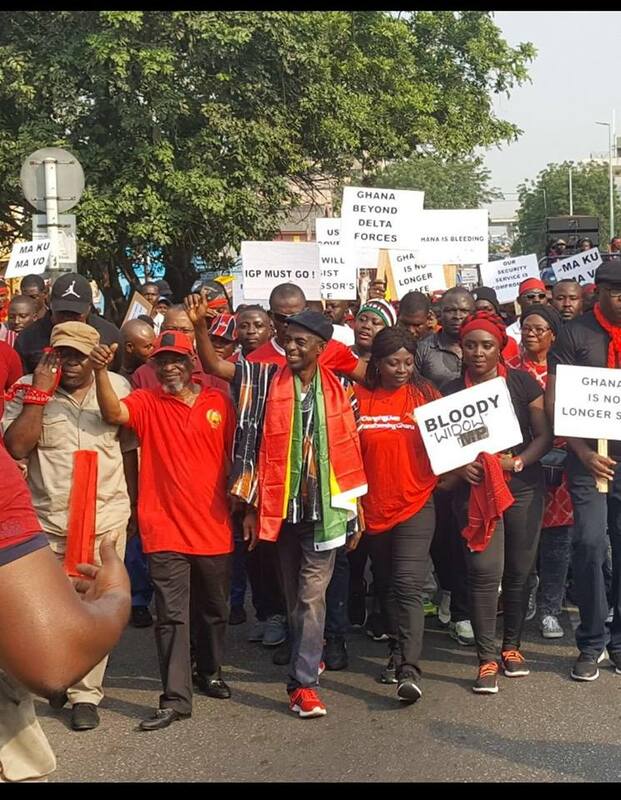 The Interparty Coalition for National Sovereignty staged the demonstration to demand justice for the victims of the shooting incident that occurred during the Ayawaso West Wuogon Constituency by-election. 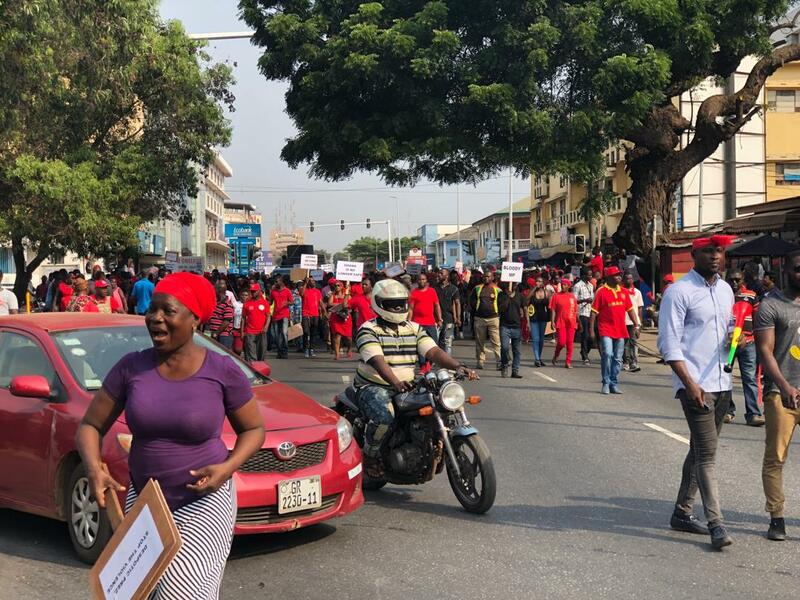 The protest dubbed ‘aagbe wↄ’, Ga for ‘they are killing us' started from the Obra Spot in Accra at about 9am, Thursday, February 7. The protest was convened by Bernard Mornah, the National Chairman of the People’s National Convention (PNC). 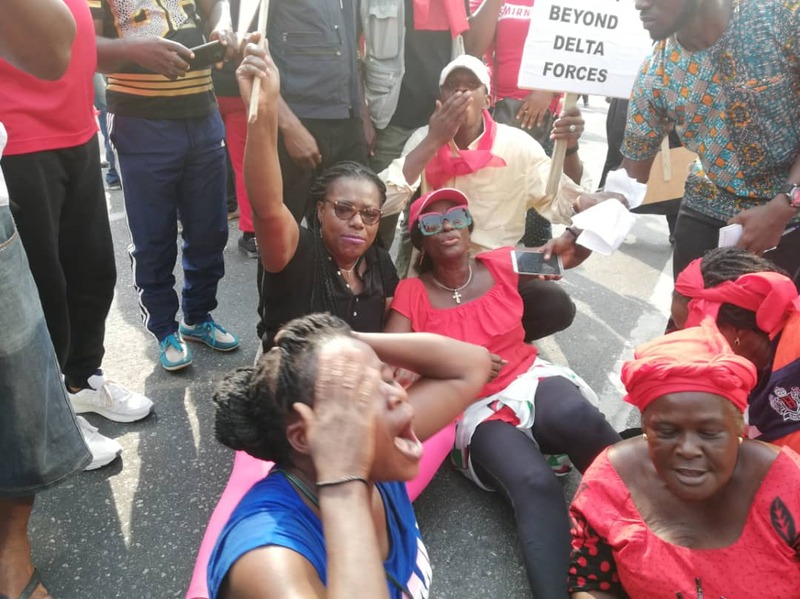 The protesters were clad in red and black and held placards with inscriptions such as “Ghana beyond Delta Forces’, ‘Bloody MP’, ‘Ghana beyond violence’, ‘Bryan is evil’, ‘family and friends government’, ‘Boot 4 boot’, ‘Ghana is no longer safe’, ‘IGP must go’. 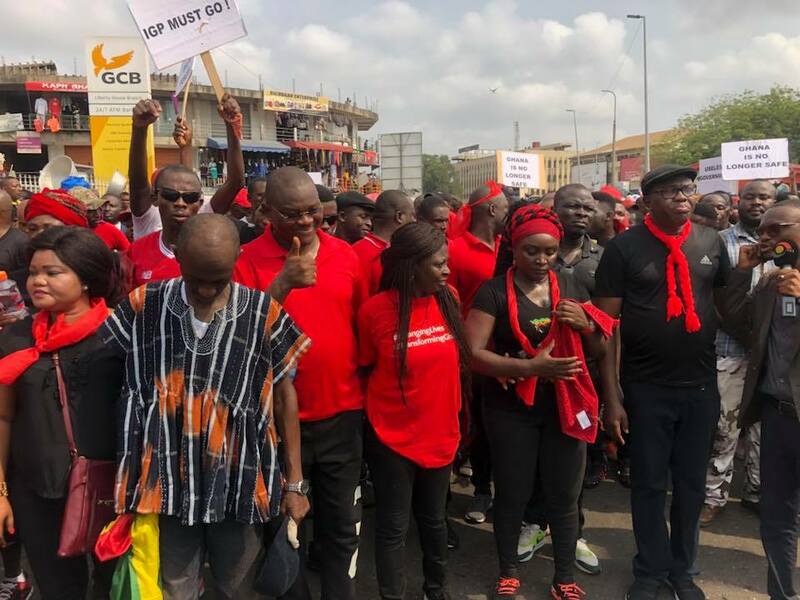 Key political figures sighted at the demonstration include NDC Deputy Youth Organizer, Eric Edem Agbana; MP for Ningo Prampram, Sam George; NDC General Secretary, Johnson Asiedu Nketia, former Ministers of State under the NDC government, Sherry Ayitey and Nana Oye Lithur and former Mayor of Accra, Alfred Oko Vanderpuije. 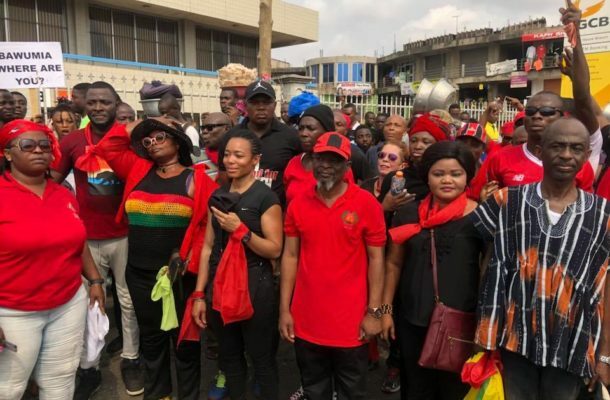 Others include former MP for Tano South constituency, Hanna Bisiw, NDC flagbearer hopeful Sylvester Mensah; MP for Klottey Korle, Zanetor Rawlings, MP for Sagnarigu, A.B.A Fuseini and NDC National Chairman, Samuel Ofosu Ampofo. 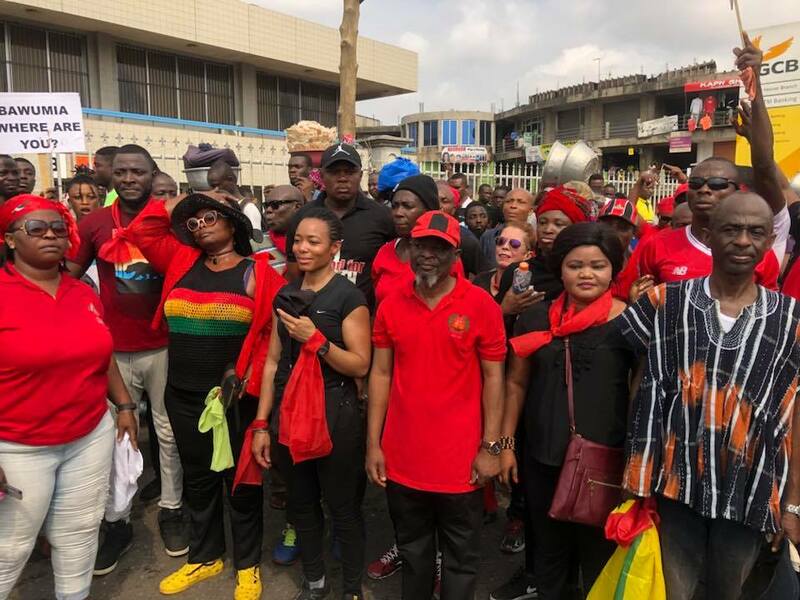 Most members of the NDC may have been encouraged to join in the protest after the former president and flagbearer hopeful, John Mahama endorsed the demonstration and urged the party folks to join and actively participate in it.